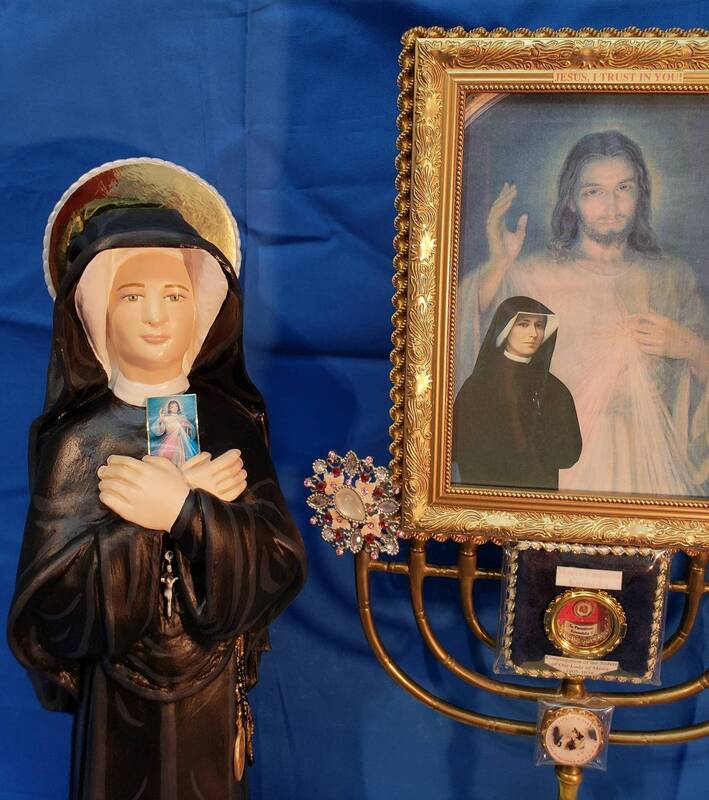 - Congregation of the Sisters of Our Lady of Mercy. 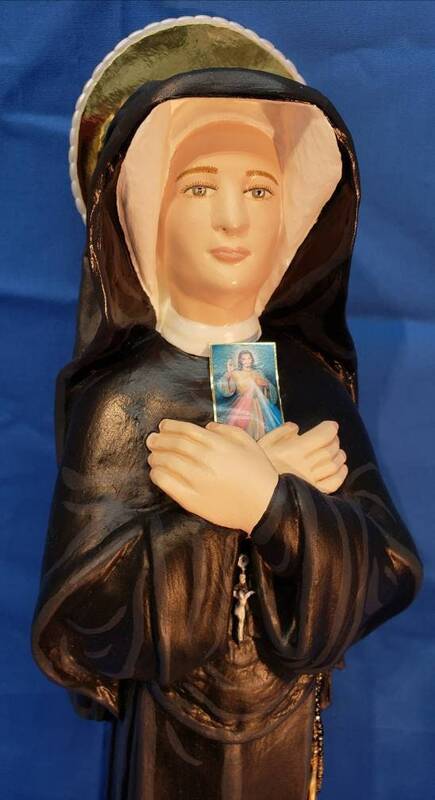 - Patroness of the Divine Mercy of Jesus. 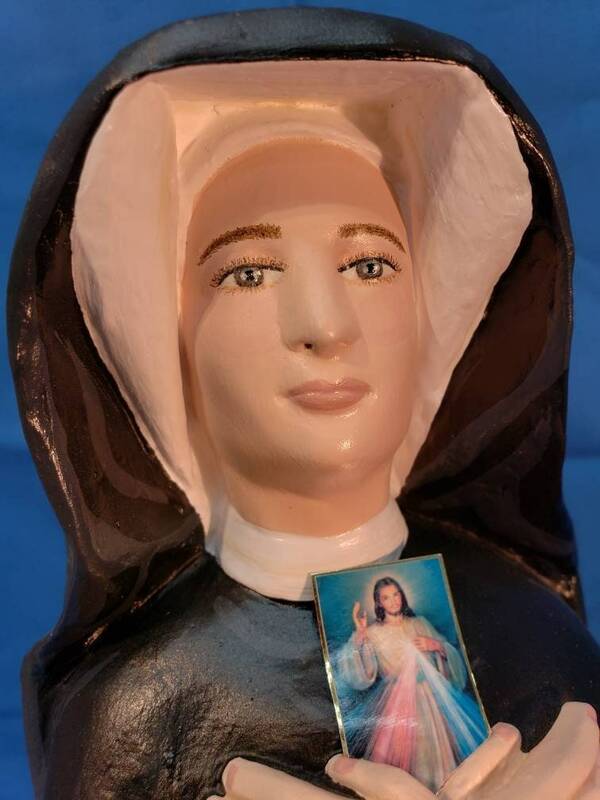 This statue features a divinely inspired hand painted face and details such as fingernails and eyelashes, Jesus Divine Mercy image, golden halo, and hand made tiny rosary. 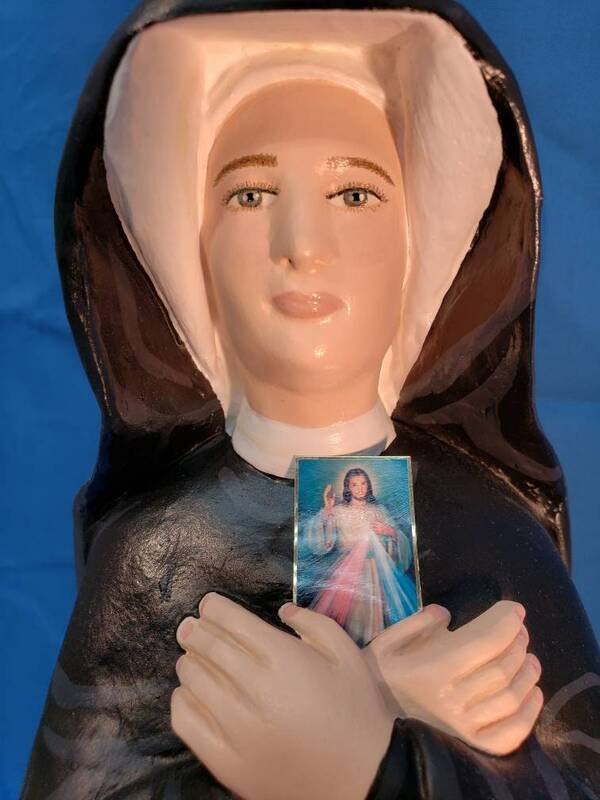 We will also touch your finished statue to a first class relic of St. Faustina. 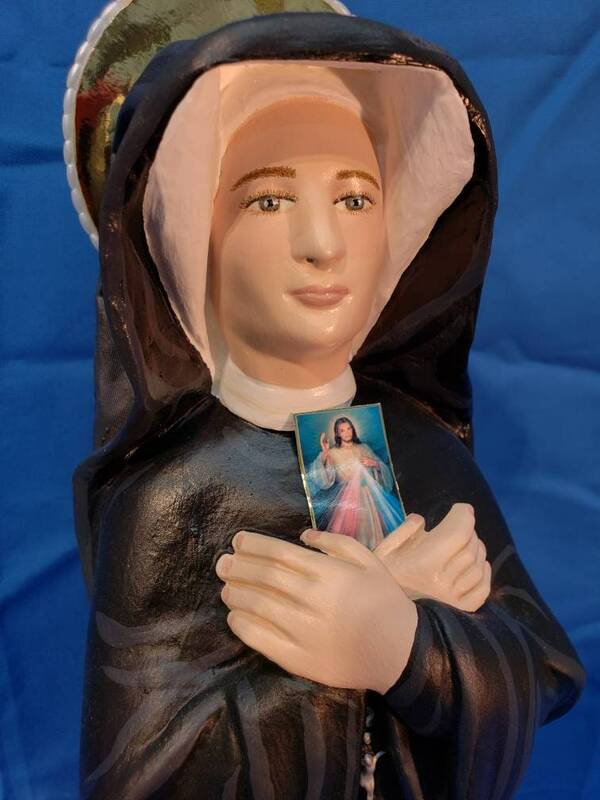 All our statues are made to order and handmade in the USA. Please allow 5-9 weeks for us to make and ship your statue. the detail is amazing! absolutely beautiful!! I sent it to my mom's address for some reason and it arrived today. 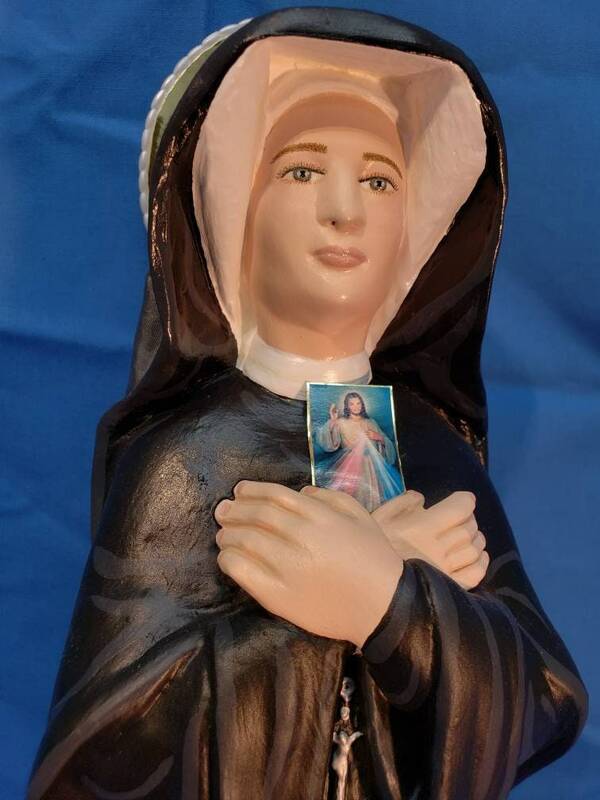 She sent me the photo of the statue and I think it is so wonderful and really like it, especially her alive-like blue eyes. Thank you!